Remember the incessant meme in the Western media about Russia eminently in danger of running out of sovereign wealth funds back at the start of the Western sanctions in late 2014? Well, the chart above puts that to rest. It turns out, Russia did not run out of the reserves, and instead quite prudentially used funds available to carefully support some economic adjustments (especially in agriculture and food sector), while simultaneously balancing out its fiscal deficits. 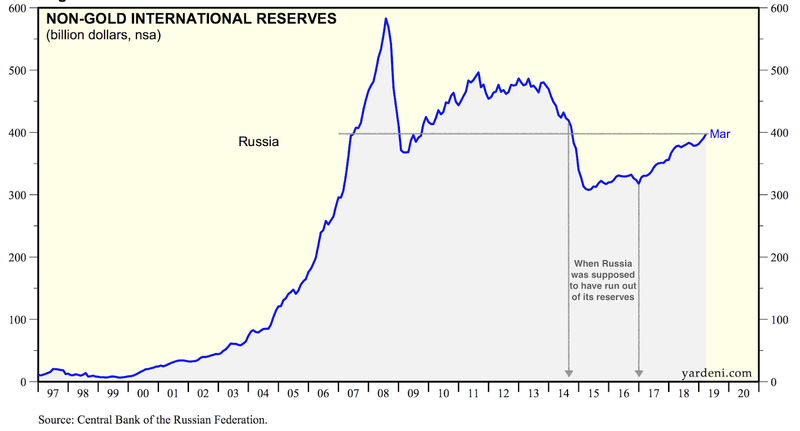 Do note that the reserves above exclude over USD 91 billion worth of Gold that Russia holds and continues to buy at rising clips. 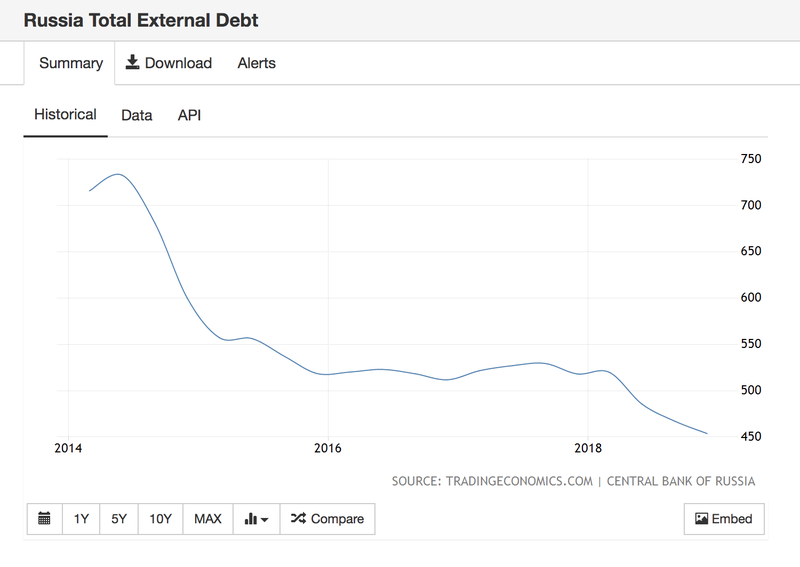 As of current, Russian foreign exchange reserves ex-gold are more than sufficient to cover the entirety of the country public and private sectors external debts. Nothing that CNN and the rest of the Western media pack ever managed to capture.